To a child, the four seasons seem so definitive. A winter scene needs only a few waxy sticks, even if you possess the coveted 64-colour box of crayons. Bare trees are black, twiggy silhouettes against a blue sky. A paper-white ground sets off a green pine next to a solid blue house with a red brick chimney. 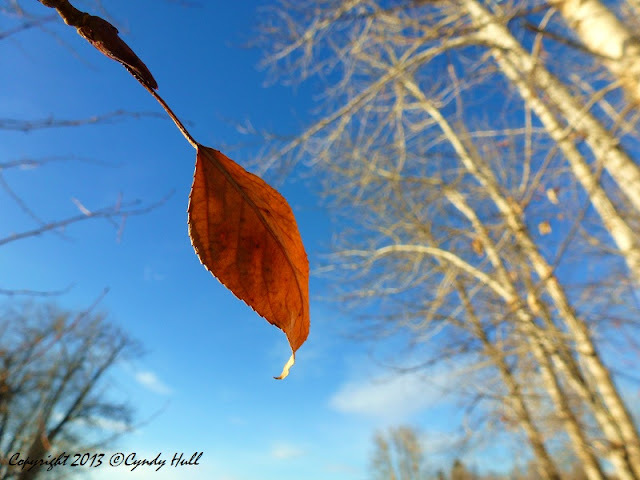 Lately, I’ve noticed the seasons bleed one into the next, regardless of the solstice date on the calendar. Winter branches may retain clumps of faded leaves; a Chinook wind pumps temperatures to spring levels for a single day in the middle of a sub-zero week; blooming daffodils poke through a crust of sparkling snow - at least in Montana. Grey technicalities and politics are tricky to explain to a teenager with a strong sense of justice. Our conversation reminded me how thankful I am of two things: that judgment is not in my hands, and that the daily demand for grace is always ready to be satisfied. So many cliche's come to mind - we don't know anyone else's story. Some times I think we don't really know our own story!! Such comfort and stability in that opening word, "surely".